Founded in 1984, Jack Hall Plumbing & Heating is a full-service plumbing, heating, attic insulation and air conditioning company serving The Adirondack Region. We provide complete repair, replacement, and installation services for all major systems, giving you a quality solution that fits your home's needs. Much of the world has changed since Jack Hall Plumbing & Heating was founded. 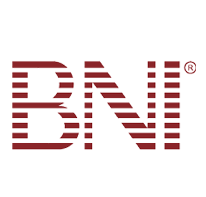 Trends have come and gone, our lives and our technology have become increasingly intertwined, but one thing hasn't changed — our approach to any job that we do. 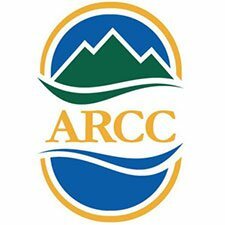 Our old-fashioned work ethic combined with latest technologies in heating, cooling, attic insulation and plumbing is what sets us apart from other plumbing, attic insulation and HVAC companies. We believe in doing quality work and getting the job done in a timely manner. It is because of our talented and knowledgeable employees that we are able to provide our customers with the reliable, top-notch service that we do. "Tim and Seth were very friendly. Tim was super helpful in..."
Jack Hall Plumbing & Heating was started by Jack Hall and his son Ty in 1984. After years in the plumbing industry, Jack decided to start his own company with the goal of providing the highest quality service for his customers. Today, Ty is the President of Jack Hall Plumbing & Heating, sharing the duties of running the company with his son, Devin. Jack retired from day-to-day work in 2003, but he continues to share 50 years of knowledge and expertise daily to the Jack Hall Plumbing & Heating team. Ty brings 40+ years of experience working in the residential, commercial and industrial market. Devin, who currently runs the residential sales department, brings 15+ years of service experience to our customers. Together, the three generations of Halls provide you with the best customer service and highest quality plumbing, heating, and cooling services available! 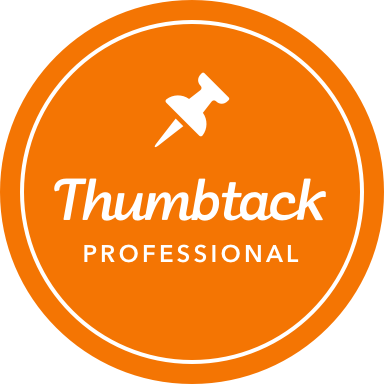 We're licensed plumbers: Our team of plumbing professionals subscribes to the highest industry standards. These are top-notch plumbing technicians who can accurately diagnose and quickly fix any and all plumbing problems. Plumbing emergencies are our specialty! Locally owned and operated since 1984: Thousands of satisfied homeowners throughout Warren, Washington, and Saratoga counties have relied on Jack Hall Plumbing & Heating for over 30 years to service and install the right plumbing, attic insulation, heating and air conditioning systems for their family, to be there when promised and to guarantee everything in writing. 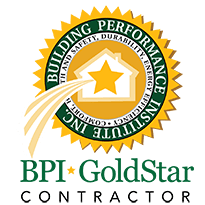 We are a BPI Goldstar Certified company: As a BPI certified company, we have passed BPI's rigorous written and in-field practical exams that verify our knowledge and skills in Building Science solutions. We also have the knowledge to provide your home with high-efficiency energy upgrades to enhance comfort and save you energy. The job is done right the first time: When a Jack Hall Plumbing & Heating plumbing, attic insulation, heating or air conditioning service technician comes to your home, rest assured in knowing they're trained to fix the problem right the first time. A respect for you and your home that is unmatched: When you invite a Jack Hall Plumbing & Heating attic insulation, heating, and air conditioning technician into your home, you can be 100% confident that they will leave your home in the same condition as it was before they arrived. Because we take your floors, walls, countertops and belongings as seriously as you do, we go the extra mile to assure that the job is done cleanly and that your property is undamaged. 100% satisfaction guaranteed: If you are not 100% satisfied with your plumbing, attic insulation, heating, or air conditioning repair service, we'll do whatever it takes to make it right. Ironclad guarantee: We guarantee our plumbing, heating and air-conditioning repairs for 2 full years... NO QUESTIONS ASKED! Convenient payment options: Cash, check, bank debit, all major credit cards, and financing. 24/7 one call does it all (Emergency Service): The Jack Hall Plumbing & Heating Call Center is open 24 hours a day, 7 days a week with experienced call takers, so you will never have to leave a message on an answering machine. You'll always talk to a live person, and your problem will be solved quickly and efficiently. Maintenance plans and equipment checks: At Jack Hall Plumbing & Heating, we maintain what we install and offer a wide range of service plans for heating, air conditioning, attic insulation and plumbing service. Your Jack Hall Plumbing & Heating technician will explain each of the plans so you can make an informed choice. Fully stocked trucks: Your Jack Hall Plumbing & Heating service technician or installer will arrive equipped with a truck that is completely stocked with all the necessary tools and supplies for the job. You never have to worry about who is in your home: We run background checks and drug tests on every Jack Hall Plumbing & Heating employee so you never have to worry about who is working in your home. Our technicians will always treat your home with the same respect they would their own, so they wear shoe covers and put down drop cloths to protect your floors and property. At Jack Hall Plumbing & Heating, we're proud to be a part of our community, which is why we make the effort to work with local organizations. 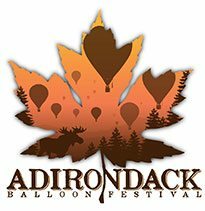 We help sponsor the Adirondack Balloon Festival, one of the most unique events anywhere. As a strictly non-profit, volunteer event, we're proud to help keep this tradition running in our area. 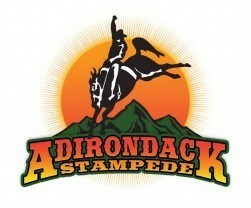 We also have partnered with the Adirondack Stampede Charity Rodeo, an annual bull and horse riding event that donates all proceeds to local children's charities.